The following is a simple look at one of Satan’s biggest worldwide coups. He’s literally snuffing the life out of millions of God’s creative best—the pinnacle of God’s six days of creation—the human race. Statistics show a major change has been taking place since 1970. In 1970, the average age of a woman getting married was about 20 years old. And children followed a year or two later. But since 1970, women have been waiting longer and longer to get married. Today, the average age of a woman getting married is about 27. And the heartbreak today is that in the U.S., the average age of the first child born to a couple is two years OLDER than the marriage. Most couples get pregnant prior to marriage! The U.S. is not far behind. 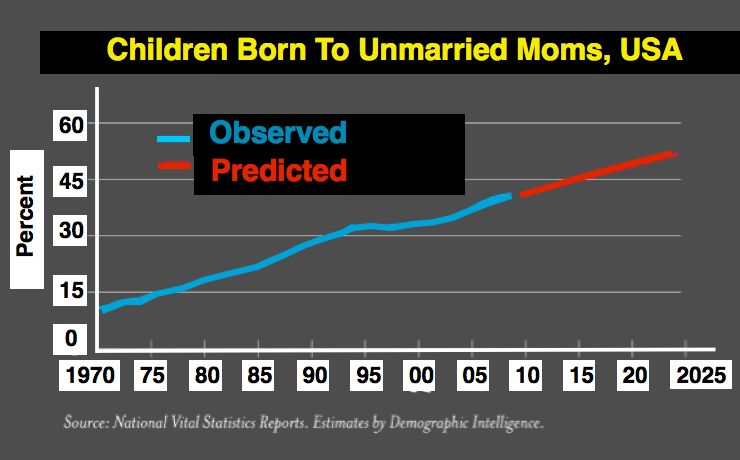 As we move further and further from Biblical values, births to unmarried women continue to climb in America also. 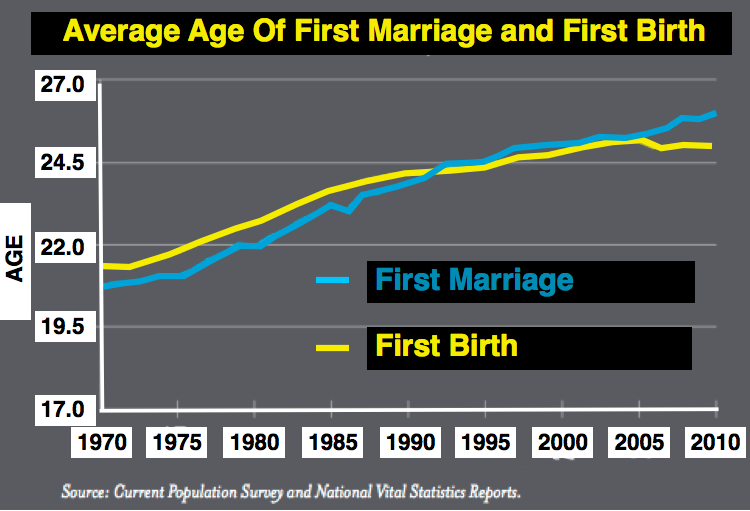 47% of Millennials (born since 2000) today are born outside of marriage! What was the main thing that changed our thinking? Birth control. And Satan is so good at what he does that most Christians have a hard time even seeing birth control as a problem. Yes, He did give us brains. And with our brains we should be able to discern the difference between God’s eternal blessings and earthly temporal blessings. 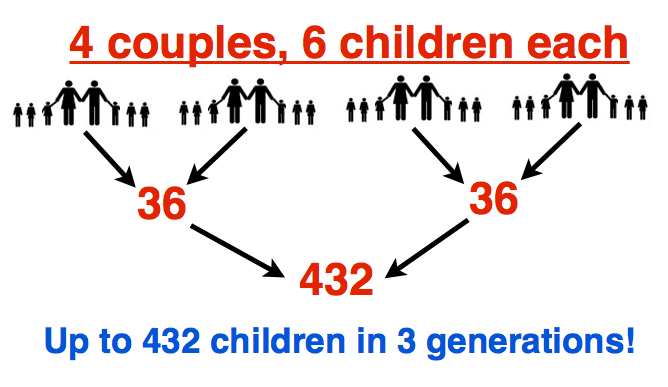 Most evangelical Christians are horrified at the idea of having 10 or 20 kids. They immediately think of the monetary cost and fatigue factors in raising several children. Using the world’s standards they rule out having as many as God will allow. But that’s from a self-centered, sinful human evaluation. What’s missing is asking, not what we as sinful humans want, but rather what’s God’s desire for us? Does God like the idea of us humans cutting back on what He designed? Is artificially reducing the number of kids we have a blessing from the Lord? Or a curse? As you will see, the case will be made that having fewer kids is a curse in more ways than one. We’ve been masterfully duped by the Evil One, buying a lie eerily similar to his lie in the Garden of Eden. Speaking to Eve Satan said: “You can be God.” Eve bought the lie…and so have millions more today. Let’s start with the basics. God says children are a gift, reward and blessing from Him. 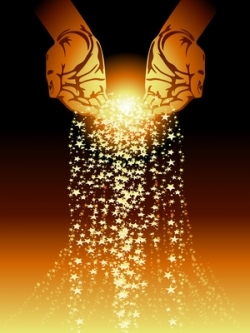 Gen. 22:17 indeed I will greatly bless you, and I will greatly multiply your seed as the stars of the heavens and as the sand which is on the seashore; and your seed shall possess the gate of their enemies. One of the biggest reasons that we should have as many children, as many blessings as God will give us, is that children are ETERNAL. God allowed all Job had to die, but because of Job’s faithfulness, God literally doubled all that Job had lost. How could Job only have received back the same number of children if God doubled them? Why didn’t he get back 20 children? It’s because animals are temporal and children are eternal. Job’s first 10 children were still alive in heaven. God counted them as “eternal.” When God gave Job 10 more, He DID double Job’s children! So all this begs the question, “If God wants to bless us, should we EVER reject His blessings?” Is there ever a Biblical reason not to totally trust the Lord? No, never. Yet too many Christians do not trust the Lord to give them good gifts all the time. Or, they have been duped into believing that they know more than God our Creator. 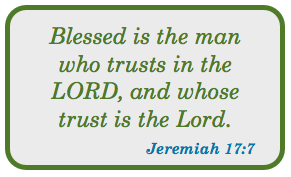 Either way, they just simply don’t trust God to do what He says He’ll do—make children a blessing. 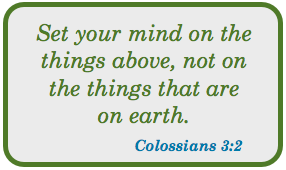 In a nutshell, we want to be in charge, make our own decisions based on what we want…be our own god. 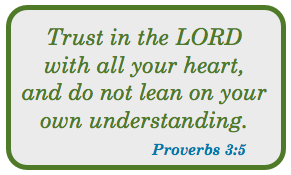 So we take the reins of our life and make decisions based on our limited and sinful understanding. Think of it this way. If Jesus is standing in front of you and says “I want to bless you,” will you look Him in the eye and say, “No thanks”? Yet that’s what we’re doing when we choose fewer children. Instead of desiring more eternal gifts from God, we are exchanging them for more temporal things. Cars, houses, vacations, lifestyle and more are dangled in front of us like candy. And we take the bait. How could we be happy with a houseful of kids sucking up our cash? We want our stuff! Worse, we tell God we’ll let Him know if or when we change our minds, and then expect Him to hop to it and answer our prayers. So here we are—although God has graciously given us a part in the multiplication of humans in His image, when He chooses to bless us, we are choosing to decline the eternal blessings in favor of having more temporal things in this life. And consider this…if more children are a blessing, then it’s logical that fewer children are a curse. So as a nation, we’re choosing to be our own gods and have fewer children. And the ramifications are stark. Here are some statistical facts that most Christians never have considered. 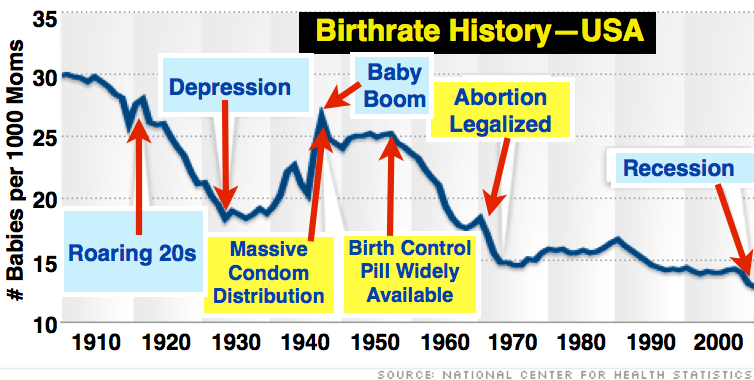 Consider this first chart…You may have heard that the number of abortions in America is declining. Yes, abortions in America are declining. 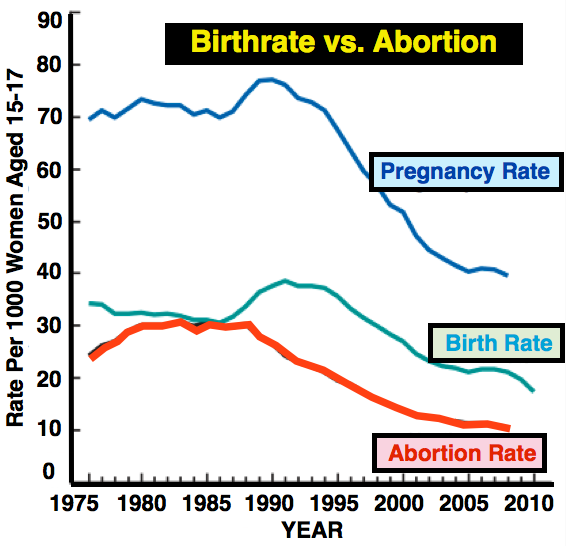 But as you can clearly see, the lower abortion rate is mainly due to overall pregnancies declining. So what changed to make pregnancies decline? Consider this chart. To see what happens to our economy, our nation’s strength, look at what happens when we use birth control and have one child per couple. This is what’s happening today in Europe. 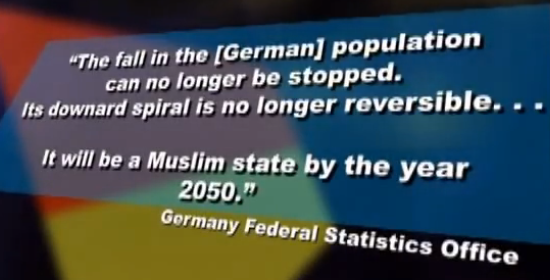 Europeans are so self-centered and earthly minded that the Muslims, who are multiplying like rabbits, will have a majority in only a few years. Europe is being conquered without firing a shot. The growth of the Muslim population is well documented. 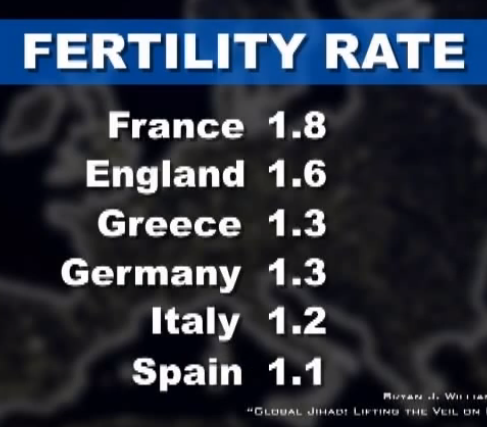 We have to have our heads in the sand not to pay attention to the facts of our enemy’s population growth. In Japan, Germany and Italy, the labor pool is actually shrinking! That birthrate grew this nation to be the strongest in the world with a humming economy. It was a blessing to have large families. 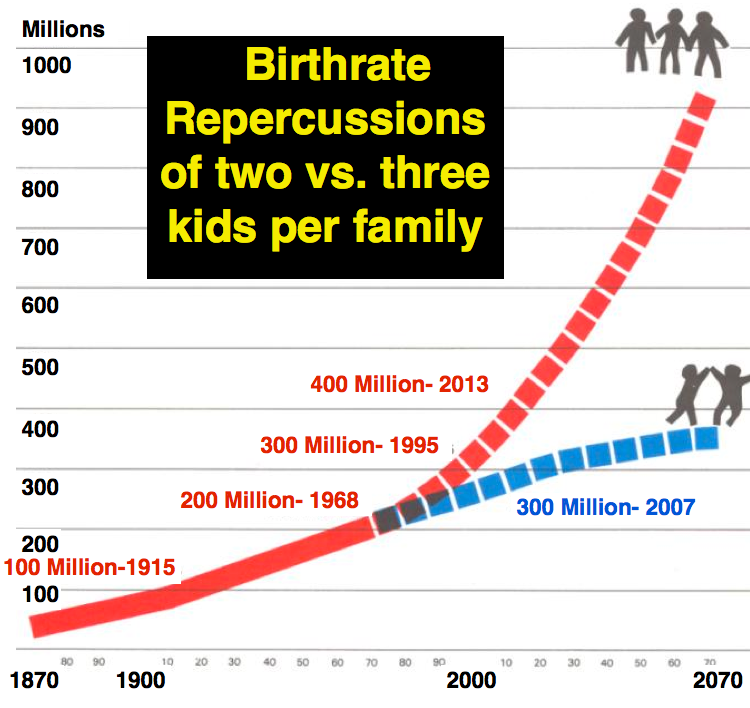 Today, as a nation, we’re averaging two children per couple, barely the replacement rate. And the white Anglo-Saxon birthrate is down to 1.7. 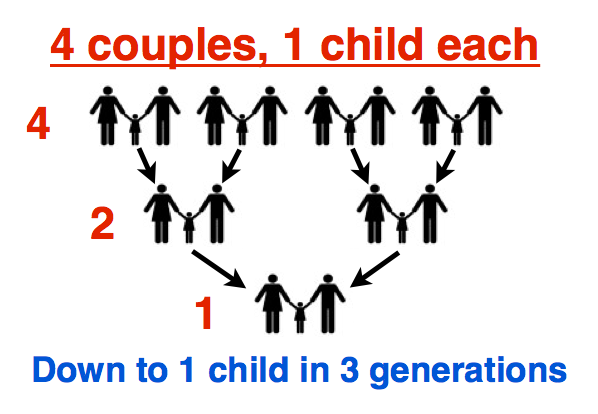 If we were averaging three per couple, instead of two, it would change things drastically. Even the secular side is picking up on this downtrend in births. 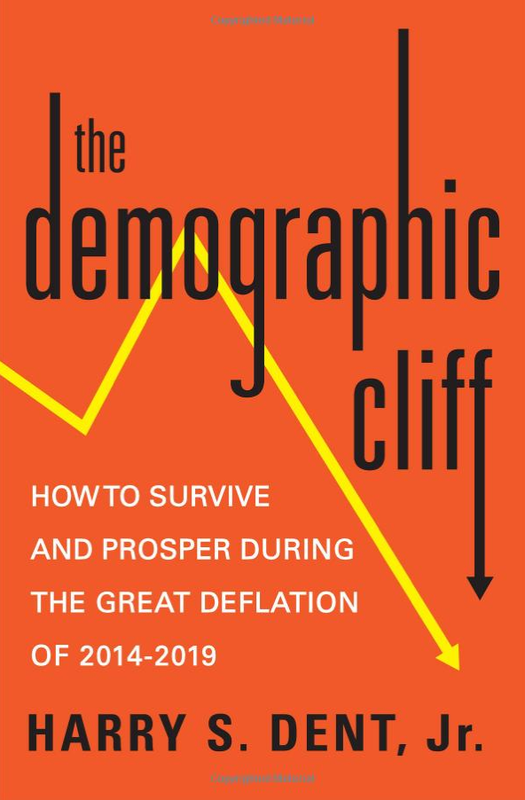 A book by Harry Dent, entitled “The Demographic Cliff,” shows a direct correlation between the worldwide declining birthrate and the sputtering economy. Dent, an economic forecaster, shows that due to the low birthrate in America, there is no way the economy will ever recover to resemble the past. 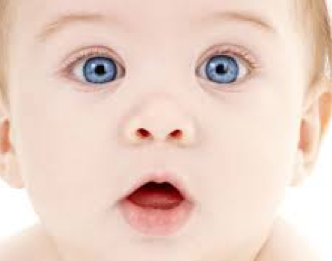 The baby boom, according to Dent, is the last decent economic stimulus left in this country. And as it dies off, so will the economy. Slower economic growth lowers corporate profits which limits income and makes it almost impossible for families to raise their living standard. Home prices stagnate, or worse. The bottom line is we’re paying a steep price. And this is not even dealing with the HUGE medical issues and problems from using the pill or getting a vasectomy. So, what’s the answer? Obviously for most Christians reading this, it’s too late to do anything to have more kids. But we can teach eternal truths to our kids and grandkids. It’s never too late to do what’s right. To read additional articles on the topic of Birth Control Click Here (for Christians amd Birth Control) or Here (for Birth Control & Cancer Linked).